March 8th marked International Women’s Day which was quite publicized here. 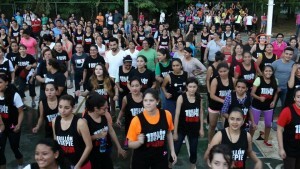 There had been a series of events going on at the Central American University or UCA (pronounced “oo-ka”) to commemorate the day. This whole past week was a jornada or conference to cover different topics important for women in Nicaragua and internationally. For example there was one event that focused on family dynamics and another that discussing leadership among young women. They were all lead by a Mexican anthropologist who is apparently quite a superstar, because at every presentation there was not one empty seat. In fact, people were lined up against the walls. At one point during her presentation on family roles she asked the audience “Raise your hand if you know a woman who had their first child when they were less than 18 years old,” and almost the whole audience raised their hand. The woman next to me whispered “Me too…that’s why I’m here. So I can educate the next generation, so they don’t go through what I did.” Reproductive rights and teen pregnancy are definitely critical topics in Nicaragua. There was also a cool moment before the presentation started when a woman who worked for women’s rights in Honduras received applause as she joined the audience. According to her bio she had received numerous threats from the work she was doing…that’s one brave lady! 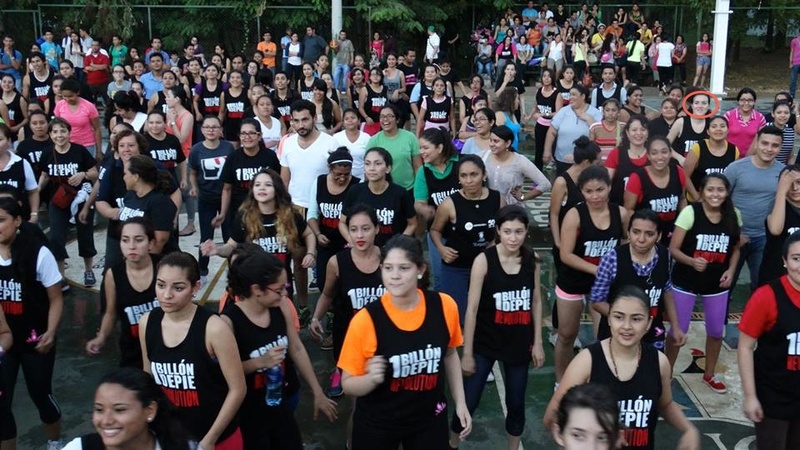 The highlight of the week was definitely a bailatón or dance-a-thon to stand up to violence against women. They opened the event with a contemporary dance performance. At first the dancers were just dancing around joyfully to salsa and bachata, portraying new, happy couples. The crowd was half paying attention, chatting amongst themselves and laughing and shrieking out whenever a dancer did a particularly sensual move. Then, the performance took a more serious turn. The music got dark and the male dancers began acting out violently towards their partners, pretending to punch them, chokehold them, and throw them to the ground. The giggles turned into serious looks and the conversations fell silent. The dance ended with the women laying on the stage with the guys extending a hand over them. It was pretty powerful stuff,but overall an artistic way to show the seriousness of domestic violence. The rest of the bailatón wasn’t so bleak. They had two different instructors get the crowd moving. Can you spot me?…Ok, so I made it easy and circled myself. Looking back on this week, I am glad to have celebrated International Women’s Day in a foreign context. It makes me think how my life would be if I were a woman in Nicaragua or any other country. To a certain extent, women and all human beings across the world are struggling for the same rights, such as equal pay, ending violence, and reproductive rights. Some are just more prevalent in certain countries, where the local context brings them under a stronger light. Although there is technically only one official day celebrating women, the struggle for women’s rights in Nicaragua and across the world is constant. You are currently browsing the Scholarship Opportunities Program blog archives for March, 2015.